Schofield Canyon Trail #5007A is a 2.69 mile one way hike with 977 feet accumulated elevation gain. Located 11 miles east-southeast of Alamogordo New Mexico. April and March are the best months to enjoy this hike. It begins at County Road C14 (Rio Penasco Rd) and ends at Forest Road 5007. 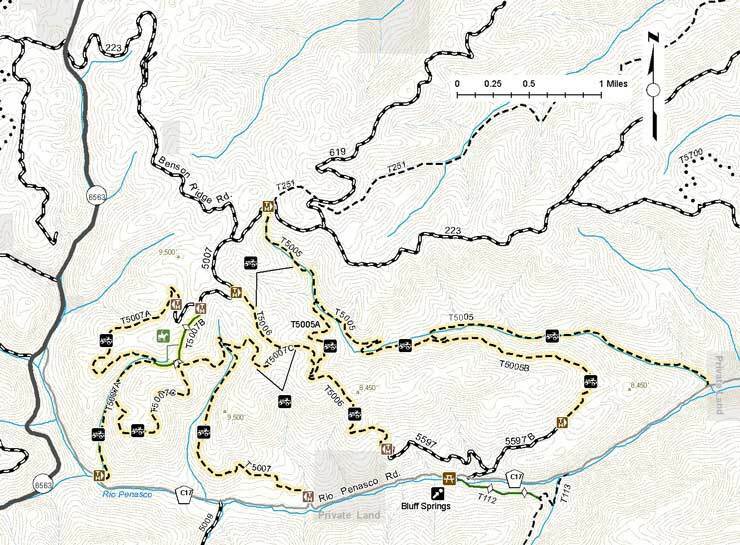 The trail is open for the following uses: Hiking, Horseback Riding, Mountain Biking, Motorcycle Trail Riding, Off Highway Vehicles (OHV) less than or equal to 50 inches wide.